Tired of the same traditional (read: potentially boring) wedding dresses and wedding guest outfits? Well, we have some incredible news. 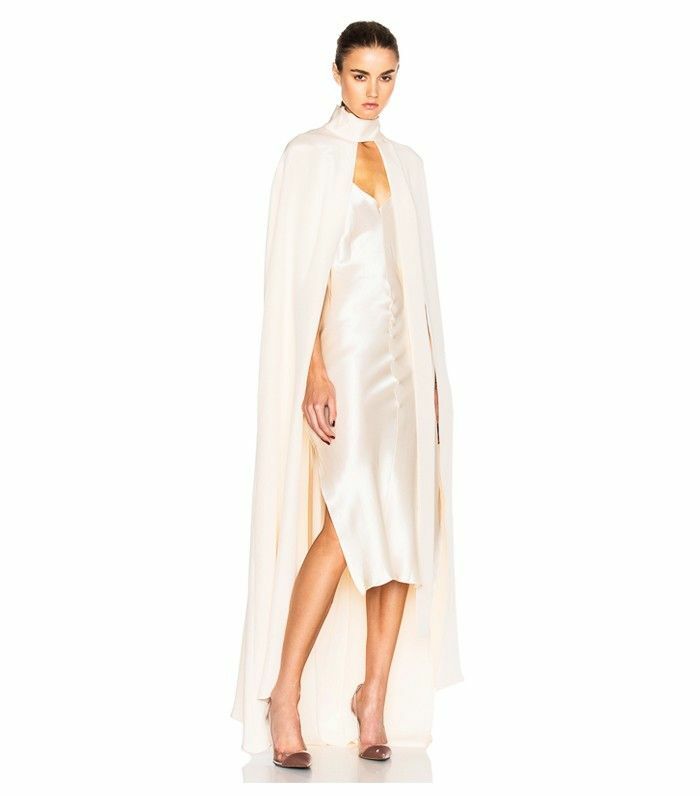 Forward by Elyse Walker has just launched its wedding shop online, which includes bridal gowns, lingerie, accessories, and incredible outfits for wedding guests too. The site is already a great place to find more fashion-forward items from emerging designers and established brands, and that principle is definitely carried through the new wedding collection. This part of the site is a specially curated selection of looks, and you'll find the more traditional long and white Lanvin gowns alongside slightly more adventurous full lace outfits by Rodarte. And if you needed more convincing that this is the place to go to for a truly chic wedding look, then allow us to point you in the direction of Forward's buying director, April Koza, who confirmed it by saying that Forward knows its "customer lives and breathes fashion and her wedding day is the most memorable and photographed day of her life. Our edit is for the bride who's looking for a chic alternative to everything else in the market." Well, we're sold. Keep scrolling to take a look at some of the dresses and accessories we love. Take a tip from Solange and sport a cape. A more traditional gown but still chic. Wear these for your wedding day and beyond. Can someone invite us to a wedding so we can wear this dress please? Wear to a wedding as a guest, and then with your frayed jeans for the office. On a budget? You have to see our guide to affordable wedding dresses on the high street.